If only you could work on the music a bit more. Ganesh Sharnam Sharnam Ganesha Rap from the 21st Kilometer, just blew me Off. Its awesome. Make this one on the same lines no? Add some mantras as well. this is sneha here..firstly very happy to know that u are a libran,because even i am one.and i felt very good when i read the poem first..but then later i sang the poem loudly in a rythm with a tune for the second time...n i enjoyed it even more..and the whole poem truely sums up all the values that we have been taught by u and bawa since the past 4 days.nad it will be all the good if we(i mean I).follow them with some discipline in life..and i can achieve all that i want and all that i desire..AND DEFINITELY MAKE A BIG DIFFERENCE IN THIS WORLD. Woahh!! what a Rapchik ishtyle rap :) Its too kool..and i was smiling while listening the rap and also was aware with "You do that thing with your nose". Finally, a post from you. But ya it is worth wait ....but this doesn't imply that you got to write after ages. So please keep posting frequently. "I am the Libran and Bawa is the Virgo..." which finally led my eyes to some more text a few inches below - 'Posted by Dinesh'...wow. and yess, I am a VIRGO too :P HAhahah!! loved it! :) Both lyrics as well as the way Daniel has sung the song! Hmmmm....message received.... from one Libran to another....By the way the title of the poem is rather creative, unique or should I say 'ekdumich rapchick' ;). Superhit, beautiful composition, great lyrics!! hope u can put up the musical version soon online. It would be nice if you can start a audio blog and also put up some samples of your favourite music? Nice poem,flow is very nice, you maintained rhyme in the poem very well. Yet it felt spontantaneous creation!! I really liked it. Thanx for sharing such a beautiful creation. Cheers! Finally a post by Dinesh bhaiya. The poem is simply superb. Hats off to Dinesh bhaiya. wow, the lyrics is catchy tune! your poem on everyone's nose! Hi dinesh bhaiya.My name is Harshal Badgujar. I just completed my YES+ course from Dombivli and took up volunteering at the Utsav. I was really waiting for u 2 post sumthing so that i get a chance to talk to u. The song was really nice. I just love you You are a fantastic yoga teacher and a great guru to have. Wow It is really a gr8 Lyrics... Guru and Dev Combined..
the song is just awesome... i think u shld record d last part of it "breath in in in... let go go go"
n may b we can use it for meditation... i really like breathin on such a music.. hahahahahahahaha!! Dinesh sir this is insane work. hahahahahaha!! imagine getting up in the morning with THIS !! can't get over the song. hahahahhahhahhaaahahaa !! wow!dinesh bhiayya,i was waiting for your post.lovely song. Awesome song da, you dont mind if I sort of mix it up to make a ringtone?? with the music and all it sounds even more good. i like the beats and the way it's sung. Who do that thing with their nose." My 1st Visit to your blog..
Today(12 August 2007 ) is International Youth Day. That is really cool. Good to see Dinesh Bhaiyya's post after long time. Jai Gurudev dude,now that is sum song!!! !realllly lyk it n nothing can actually shake de 1 who does tht thing wid his NOSE....super coool! Majaa aa gaya ye sunne me... Kya banaya hai Dinesh Bhaiyya! Too cool! hehehe....this was AMAZING!!!! !i mean AMAZING Da....the lyric...the rhyme...the tune...PURRRRRRRRFECT!!!!! I think there's a slight mistake in this stanza, shouldn it be its easier than licking your nose? Gonna listen to it on my Bose! It deserves a good title! 1) Thrill of the nostrils. 2) The Nose blowers of Bangalore. 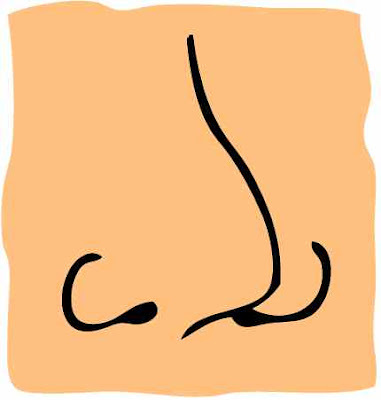 3) Ode to the Nose. That was an amazing piece of song, I liked the way Daniel breathed music into it.Total Rapchick...i wonder how you guys manage to do so many different things. MIND BOGGLING I MEAN BREATH BOGGLING. WOW!! 52 Comments in all till now ! (this is the 53rd, bty Bau how come my earlier comment came so much later at around 12.16 p.m. when in fact I was the first one to comment?? Anyways, DG this should make you post much much more often, to satiate us poor hungry souls, don't you think? :) "YEH DIL MAANGE MORE, MUCH MUCH MORE! YOUR POSTS MAKE INTERESTING LIFES' DAILY CHORES WHICH OTHERWISE ARE A BORE! Howzzat! 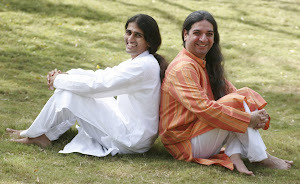 Luv-n-regards-JAI GURUDEV! Oh, dat was so nice to have something from you Dineshda, it was speechless.....Pls do keep writing something...I love it. pls keep writing more bhaiya!!! Dinesh Bhaiyya ...thats awesome ! The lirics are superfantabulous...please make the music more peppy, fast, joshila. always love wat u write. Please dont stop. This is the only way I can feel ur proximal presence! Thats simply one of the best raps i have come across. I would love to hear more from Dinesh Bhaiya in this blog! !